Artists in Chicago worked all week to bring a 7-foot ice sculpture of "Olaf" from the animated movie "Frozen" to life on Friday. 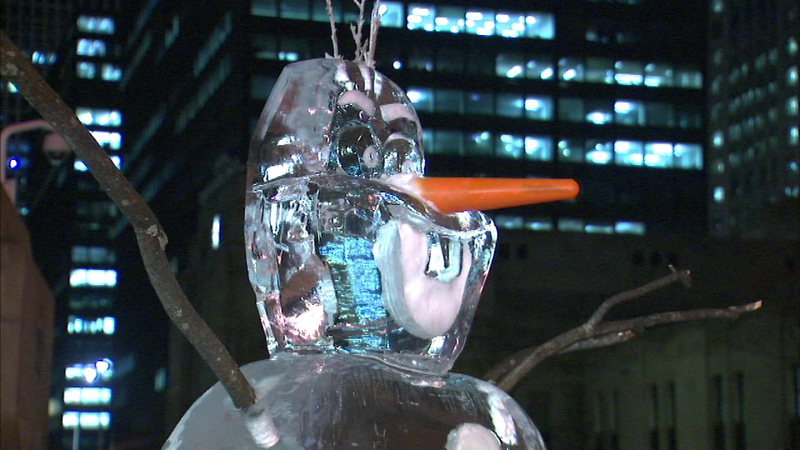 CHICAGO (WLS) -- Artists in Chicago worked all week to bring a 7-foot ice sculpture of "Olaf" from the animated movie "Frozen" to life on Friday. He's on display at 2 N. Riverside Plaza in the Loop. You can see Olaf, Princess Elsa, and the whole "Frozen" cast live at the United Center for "Disney on Ice" through February 8. Disney is the parent company of WLS-TV.